Our label was established in the year of 2004. In the beginning I was using it to release my own projects on cassette tapes, then later I’ve started publishing other artists from western countries. In a way it was more interesting and appealing to me than just doing solely my own sound art. During that time my main focus was in this archaic drone sound, but I felt like it became a mainstream which made me completely lose my interest, I couldn’t perceive it any longer. As I’ve mentioned before, the OBS began its work with some weird drone and Musique concrète styles, with such releases as Placement & Adriva, Five Elements Music, Andrea Marutti, Jim Haynes and Five Elements Music & Denis Shapovalov. Then I got a feeling that the drone music in Russia has turned into an obvious mainstream which made me completely reluctant to work with anything else from that genre. I figured I could bring some diversity, more rigid and concrete, if I can put it in those terms. To be honest, I still consider those releases being mainstream in a way. 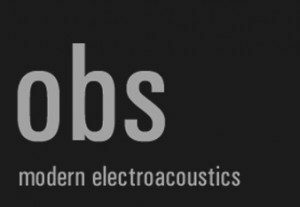 I just didn’t know if I could publish something more mature in electro-acoustics as I had doubts thinking that a highly regarded and serious composers would be interested to get published in Russia. It really happened by accident, we began to cooperate with French authors, such as Vincent Laubeuf. It was a kind of experimental thing, destroying the boundaries between the underground and academic scenes as the drone and soundart were boring the hell out of me. In addition, the same superficial fashion has come to Moscow and St. Petersburg, the cities that dictate their trends to the rest of our country. So in general the main concept was to create an alternative to Moscow-Petersburg based labels and their mainstream propaganda.